This is Evan Watson , of Evan Watson & The Headless Horsemen . 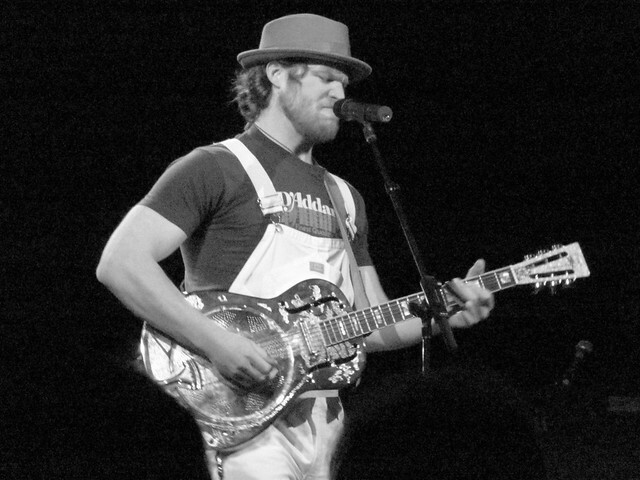 He’s a bluesman from Indiana, though right now his home base is in Tarrytown, NY. 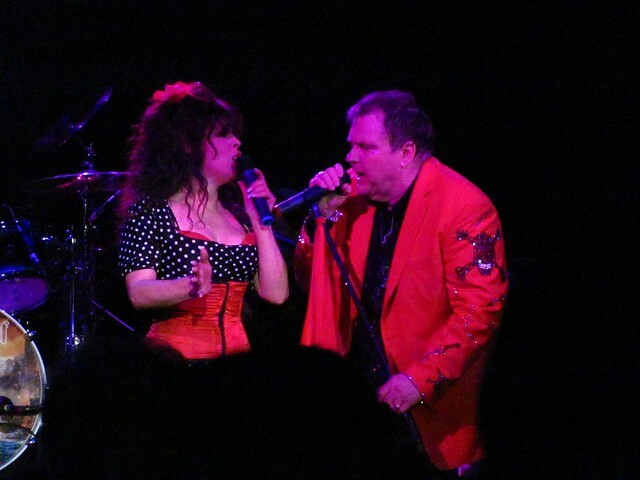 I saw him last week when he opened for Meat Loaf at Irving Plaza (!) by himself, minus his Horsemen, and, while I’m not much for the blues, I could tell he would be delicious for people who like fancy picking over a steady slow roll. He’s also got a fantastic rumble-growl voice to go along with all of that, so, blues enthusiasts: you should check him out. And here is where I have to back up and explain that, for all I was on “spring break” last week, by Wednesday I was inexplicably thin-skinned and heartsore, and in dire need of some cheering up. 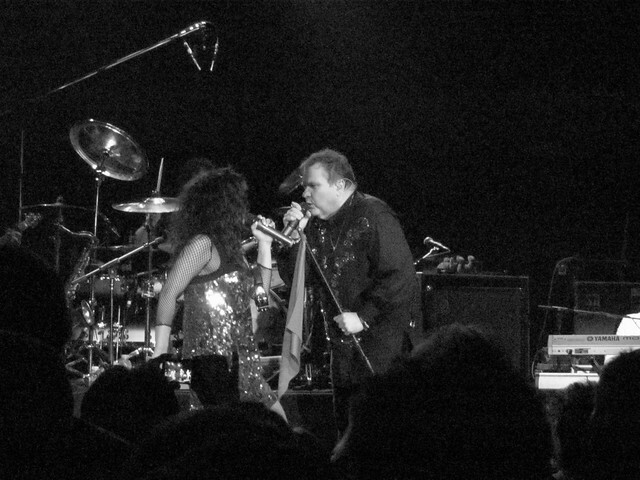 Meat Loaf at Irving Plaza turned out to be exactly what I needed. 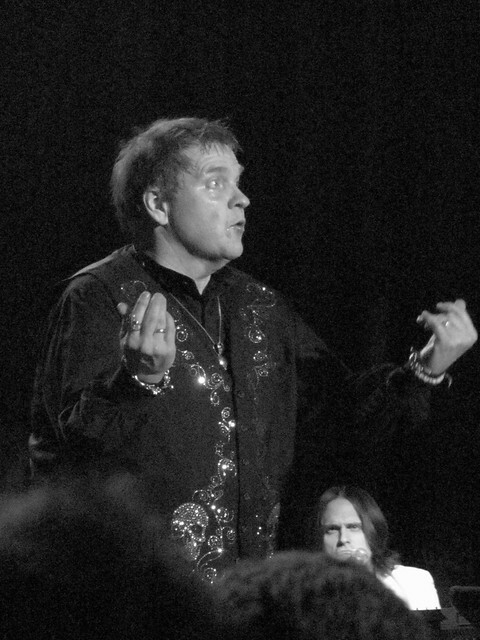 I have to explain also that Irving Plaza is tiny, or at least, it is significantly smaller than the places Meat Loaf normally plays, in the sense that it only fits 1,200 people. (I normally see punk bands there; this show was one of the few times I wasn’t the oldest person waiting in line.) The last time he was in town he was at the United Palace Theater, which is somewhere around 3,000 people. 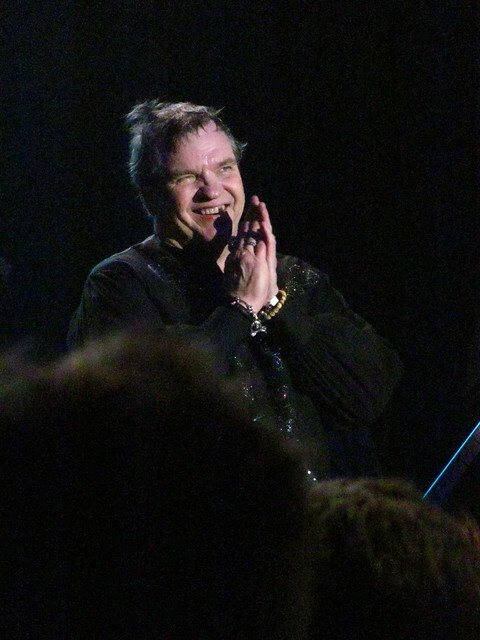 In addition to the old stuff, he also did three songs from his new record, Hang Cool Teddy Bear, including Los Angeloser. The riffs were big and the melodies as catchy as ever; I was surprised when he said the record hadn’t done well. Then again, I was also surprised to find out there was a new record, which, uh, maybe part of the overall problem there. The other highlight of the evening was Paradise By The Dashboard Light, which is really a piece of theater disguised as a song. 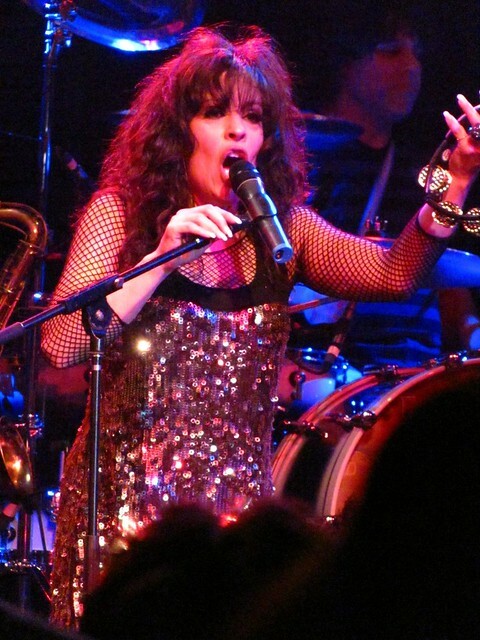 Patti Russo, his long-time duet partner, displayed her usual excellent comic timing throughout the piece. In summary: it was a fantastic evening, and I walked out into the freezing night with sore knees and warmed heart, refreshed and ready to deal with the rest of my week. 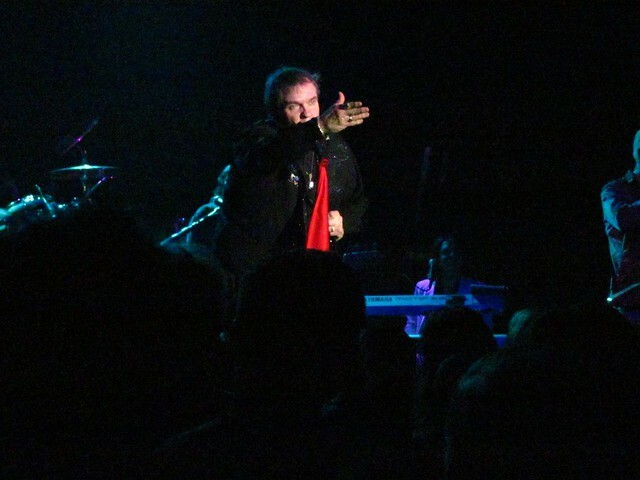 Tagged Evan Watson & the Headless Horsemen, Meat Loaf, rock 'n' roll photog, show review.